The ethnic wear of India is gorgeous and beautiful. These are the traditional attire and costumes of India worn by the people of the various Indian states, cultures, and religions. These days, ethnic attires are mostly worn on days of festivals, functions, and events like weddings. Sarees: Sarees are the most popular ethnic wear of India. A saree is instantly associated with India and its culture. A saree happens to be a long and unstitched piece of six yards of cloth that has to be draped in a typical fashion so that it becomes a complete dress. However, women from different states usually drape sarees in different fashions. Often described as one of the most ancient forms of clothing in India, the commonest way of draping it is to wrap the fabric around the waist over a petticoat, make a set of equal pleats in the front, and wear the final length over the shoulder either in pleats or in a stylishly spread way. This formal, traditional, and ethnic wear of India is all about sheer elegance and grace. Salwar Kameez or Churidaar-Kameez: Another ethnic wear for the women of India include the Churidaar-Kameez or the Salwar-Kameez. Originally from Kashmir and the Punjab, this is presently the most popular among all Indian clothes for women, mainly because it makes the wearer feel free and comfortable while boarding crowded public conveyances. Although modest, practical, and comfortable, a salwar-kameez is extremely stylish and elegant. It is becoming increasingly popular among Western women, as well. Salwar-kameez or churidaar-kameez comes in a wide range of fabrics, cuts, lengths, and colors. However, the dress consists of three components, namely, the Kameez that is worn on the upper part of the body. The word “Kameez” comes from the French word “Chemise” which means a shirt. The other two components are the Salwar or the Churidaar which are two different forms of pants. The “dupatta” is an unstitched length of fabric to be worn as a stole or a scarf. Ghaagra Choli or Lehenga Choli: A Choli is worn on the upper part of the body. It can be tight-fitted or a bit loose. A lehenga or a ghaagra is a free-flowing skirt, usually with an umbrella-cut. Originating from Gujarat and Rajasthan, these ethnic attires are worn during functions like weddings or religious festivals. Dhoti: This is a 5-yard-long unstitched cloth that is wrapped around the waist. There are various styles of wearing a Dhoti. A Kurta or a Punjabi or a Shirt can be worn above a Dhoti. Dhotis are usually worn by the groom during his wedding. Priests also wear it while offering prayers. Kurta-Pyjama or Kurta-Churidaar: This dress is the male version of a Salwar Kameez. Worn during traditional festivals, functions, and events like weddings and thread ceremonies, this is an elegant and charismatic dress for a man. Each and every ethnic wear of India is beautiful, to say the least. A traditional event in India becomes all the more special due to the attires worn during it. What do people buy the most from Flipkart? Flipkart is undoubtedly the most used online retail store in India. It has been proven with the success of its Big Billion Days Diwali sale which started on 2nd of October and lasted till 6th of October 2016. The company has reportedly out numbered its main rivals Amazon & Snapdeal in terms of items sold and revenue. Rohit Bansal, the founder of Flipkart has been closely looking at all the operations of the company. He recently delivered iPhones to customers himself which shows the kind of dedication he has towards the success of Flipkart. What sells the most on Flipkart? Above is the list of items that sell the most on Flipkart but don’t consider these to be the only items selling on Flipkart. There are so many categories and products listed on Flipkart and they all get sold at one point or the other. Flipkart assured items are like Amazon full filled in most ways. Flipkart assured badge that you see often besides a product, guarantees a superior and reliable shopping experience every time. 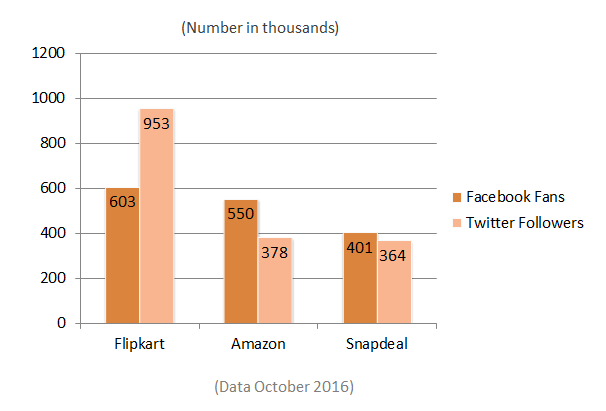 Who is the best Amazon, Flipkart or Snapdeal? Flipkart is doing great in all departments of Online shopping be it through its website, mobile app or even customer service and after sales assistance. Hope we were able to answer your questions pertaining to Flipkart. Kindly let us know if you have more questions. You can always reach us through Facebook, Twitter or our contact us page. Big billion days sale from Flipkart has arrived and lasts until 6th of October 2016. The company is offering huge discounts on almost all the categories as we explained in our full post on this offer here. Now, if you are not content with what’s on offer then you have come to the right place as we let you know how to avail 10% extra discount on your purchase. All you need to have is an SBI credit or Debit card. Yes, that’s all you need to avail the extra benefits of Big billion days sale! The Offer is applicable only on Fashion & Lifestyle, Home & Large Appliances categories. If you know someone who isn’t aware of this offer let them know so that they can also avail this offer and save money. Do spread the word guys, your friends and family will thank you for helping them save money. Please know, Amazon and Snapdeal also running the festival offers at this time. Amazon is running Great Indian festival offer which started on 1st of October and lasts till 5th of October. Great discounts on offer, do check hem out over here. Similarly, Snapdeal isn’t left behind in the race and have their own offers this festival season and is already running Unbox Diwali Sale Do check that out as well. The offer lasts until 6th of October 2016, you can get 20% instant savings with Citibank Credit and Debit Cards issued in India. Please check out the link here for full info. The festival season has started in India and the war of grabbing more customer is on! It’s mainly like this Amazon Vs Flipkart Vs Snapdeal Who is getting benefited in this war is the customers, make sure you guys check out all these offers!